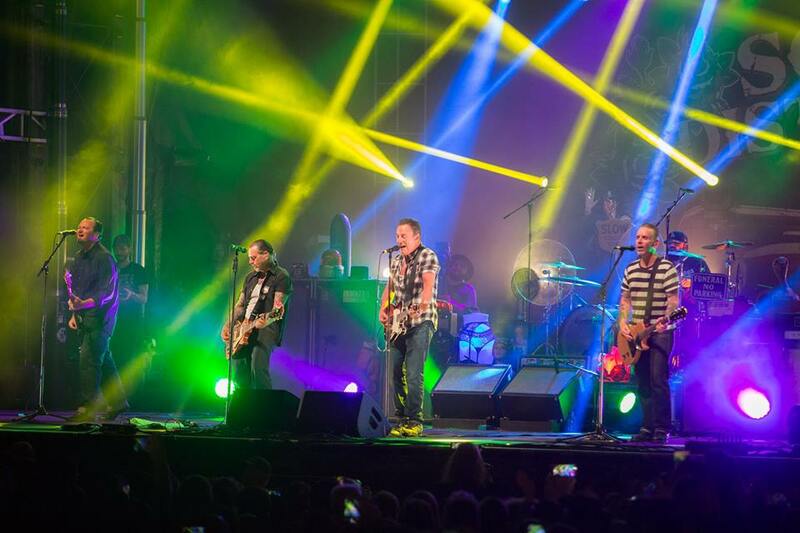 Bruce Springsteen made a surprise appearance to perform with Social Distortion in Asbury Park, NJ on September 30. The Asbury Park Press reports the New Jersey rocker joined the legendary punk band for three songs during their set at the city’s inaugural Sea.Hear.Now music, art and surf festival. Springsteen hit the stage to rock out on the group’s 1992 track, “Bad Luck”, Ness’ 1999 solo tune, “Misery Loves Company”, and a cover of the country classic, “Ring Of Fire”, made famous by Johnny Cash. “We want to extend another big thank you to our friend Bruce Springsteen for joining us last night on stage to make Sea Hear Now extra special,” posted Social Distortion on social media. Springsteen will bring his “Springsteen On Broadway” series to Netflix this fall. The one-man show – which sees the singer deliver a stripped-down, solo performance while sharing details behind some of his legendary material – will debut on Netflix on December 15 in sync with the closing night of its sold-out 236 night run at New York’s intimate Walter Kerr Theatre.